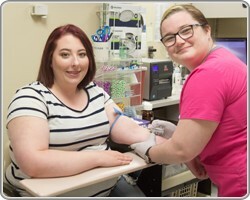 The Sidney Health Center Laboratory clinical lab, certified by Centers of Medicare and Medicaid through the Clinical Laboratory Improvement Amendments (CLIA), provides 24 hour emergency service coverage and outpatient services Monday through Friday. 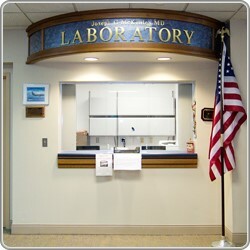 Using “State of the Art” instrumentation, the lab testing menu includes tests in chemistry, hematology, serology, coagulation, microbiology, urinalysis and blood banking. The lab is also involved in community services areas. The community has an opportunity to participate in a health screen during their birthday month where they are offered a panel of tests at a reduced rate. Interested individuals can sign up for this program anytime at Sidney Health Center Admissions.The outreach program also goes out to businesses to draw these health screen panels.